There are a great many reasons why you would want to record the yoga classes you teach. You could share them with your students, friends and family. You could publish them online as I blogged about here, or you could submit your content to YogaDownload.com, HitPlayYoga.com, AudibleYoga.com or any other number of online yoga sites. It is also a good habit to record your classes and take your own classes in order to see how your words land with you when you're the student instead of the teacher. As you listen to your own classes, you might discover things that help you to evolve and develop as a teacher. For this post, I will stick to the basics of recording your own audio yoga classes. Some yoga studios have built in sound systems with wireless microphones for the instructors to wear (as in the image on the left up above). For this type of sound system, work with the owner/manager of the studio to record your teaching. If you don't work at a studio with a sound system and wireless mic setup, this post is for you. If you want to record your own audio with a small wearable microphone (see the image in the upper right hand corner above), this post is for you! There are many different devices you could use to record your audio. 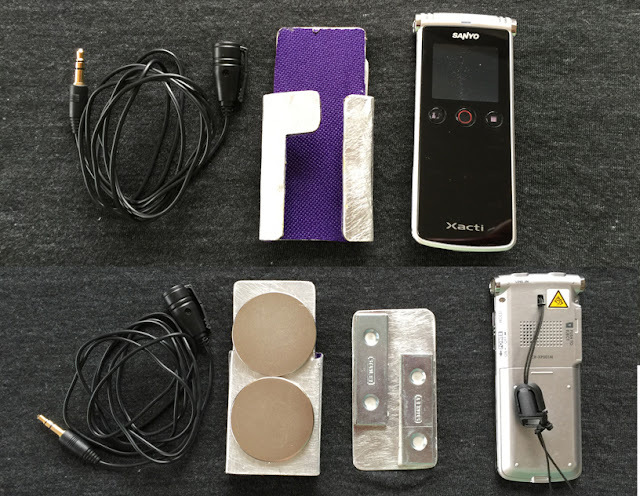 You can use your phone (Apple or Android), a dedicated audio recording device (like the xacti I use) or any digital device that can record audio, preferably with an external microphone input. Using an external microphone is preferred so that you're recording less of the room audio and more of your voice giving the class verbal cues for the asana sequence. Not all lavalier microphones are made the same. Some have a battery, others do not. Some may not work with the device you've chosen to use. 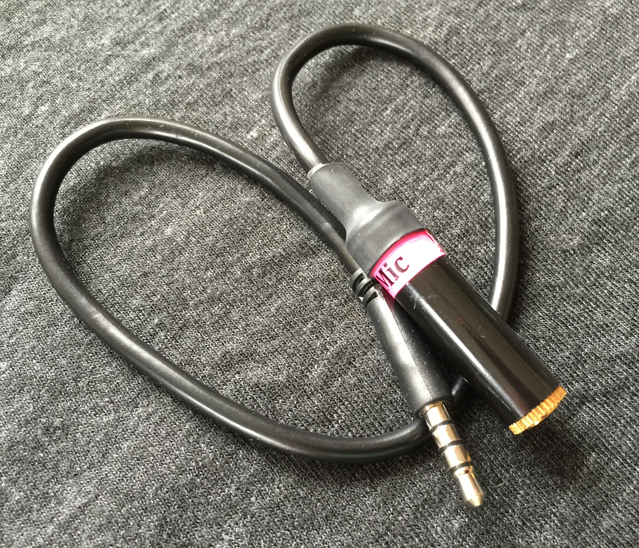 For example, I have a lavalier microphone I'd previously purchased to use with my digital camera, but it did not work to record audio when I connected the microphone directly into my iPhone (4S or 6Plus) so I had to buy an adapter for the microphone to make the correct connection to my iPhone. I used this method of recording my audio until I was gifted a previously owned Sanyo xacti audio recorder. 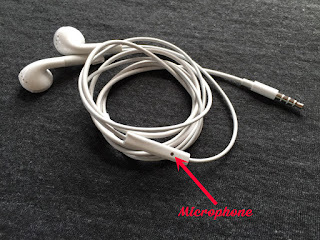 There are sellers on Aliexpress who are selling lavalier microphones that are supposed to work with Apple devices and not need an adapter. I haven't purchased one of them, so I can't say for sure if they work as advertised. You'll want to purchase a lav mic with a short cord, so that you're not also wearing a big bunched up bundle of mic wires. I had another lav mic with a short cord (no idea where it came from), it works well with the xacti digital recorder. 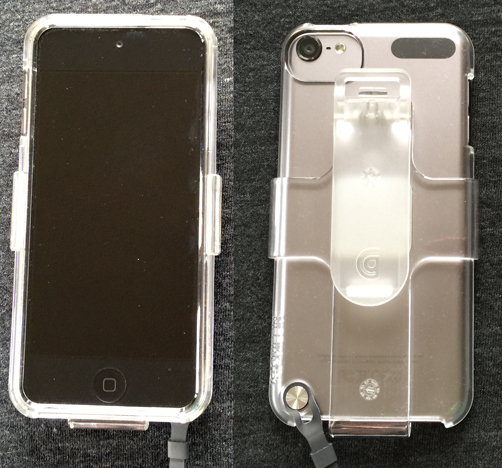 If you are repurposing an older iTouch or other Android device, the first thing you'll need is a good belt clip or holster type clip for the device. You'll clip the device to the waistband of your shorts or leggings (most likely with the device clipped to the inside of your waistband for extra security). Finding a holster/clip for your device shouldn't be too difficult if it is a fairly current model. If you are using a digital audio recorder (like the Sanyo xacti) you may find yourself with a problem finding a holster clip to hold the device (because it wasn't originally intended to be worn at the hip). For the Sanyo recorder, I made a holster out of a small piece of aluminum sheeting, cut with tin snips to fit based on a template I made out of lightweight cardboard. The little 'tab' of metal that covers the front of the Sanyo when it is inserted is designed to prevent accidental pushing of the buttons on the recorder. I used double sided tape to secure two strong magnets to the back side of the aluminum, then made a magnetic backing section by securing two small pieces of metal to a small piece of aluminum (as seen in the pictures). To protect the xacti from damage with insertion/removal from the holster, I lined the holster with a small piece of fabric glued in place with contact cement. 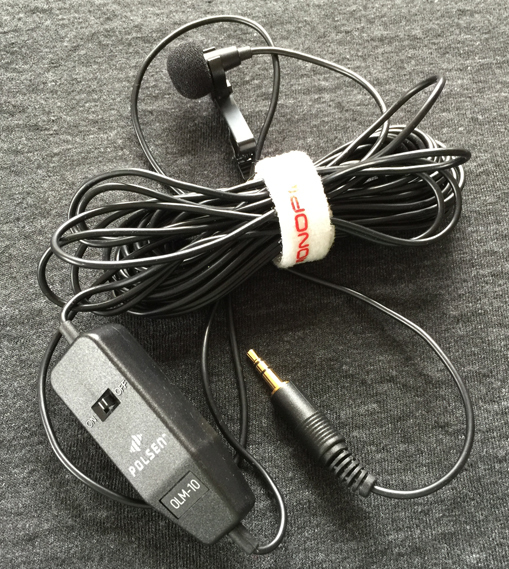 If you have an old phone headset you're not using any longer (but the microphone still works), you could use this as your wearable microphone. Cut the earbuds off of the headset, leaving just the microphone on the cord and use a small binder clip to secure the mic to your shirt. Run the cord on the inside of your top so you don't get tangled up in the wire. Now that we have the holster problem sorted out, let's move on to how to record the audio. There are many apps to chose from for Android or Apple, for simplicity's sake, I'll keep this focus to one app for Android and one app for Apple. Sony makes an app called Audio Recorder for Android devices. With it you can record stereo or mono MP3 files with your Android device and then upload those MP3s to a cloud storage service (in these examples I'll use Dropbox). Install the app, make a test recording and follow the instructions above to upload the audio MP3 to Dropbox. I'll cover editing the audio files in a separate blog post. TapMedia LTD makes an app called Recorder for Apple devices. It performs the same functions as the Android Audio Recorder app. Download and install the app, make a test recording and follow the instructions above to upload the audio MP3 to Dropbox. 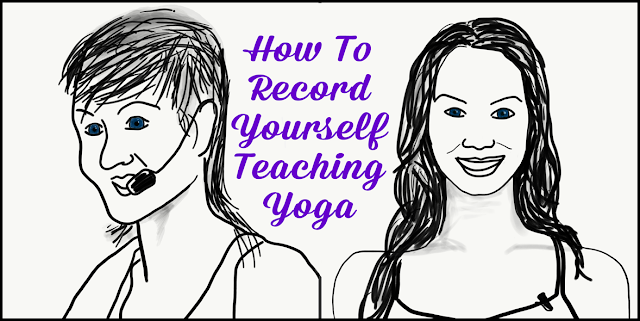 Now you are able to record your speaking voice when you're teaching yoga classes. Once you have recorded a teaching session, upload your audio to a "yoga teaching" folder on Dropbox. From there you can download the MP3 of your class to your laptop and edit the MP3 file (trim the beginning and end) for better sound quality before sharing or publishing online. My next blog post will cover the basic tweaks I do to my recorded classes before sharing/publishing them online.